Lately I have been trying to do different things with my manis, just kind of getting bored I guess, but anyways, I liked how this turned out! 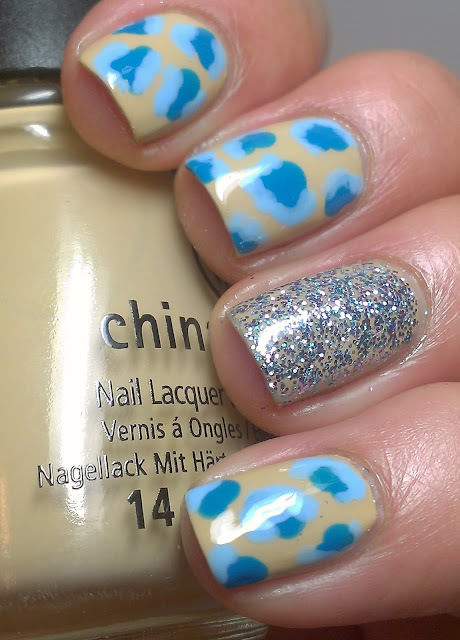 Base is China Glaze Kalahari Kiss, Accent: Color Club Jingle Jangle and I can't remember the names of the blues. Aww, so beautiful, I really like Kalahari Kiss this way, well done! Interesting combo! I really like those blues! this is lovely! so sweet and pretty! 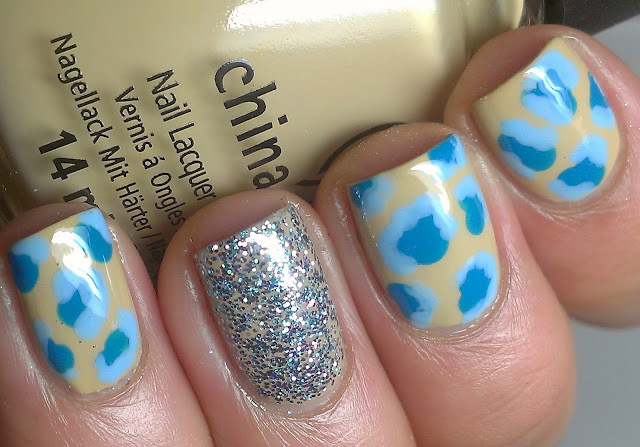 I love the design and color combination on those three nails without the glitter! I love this one too! 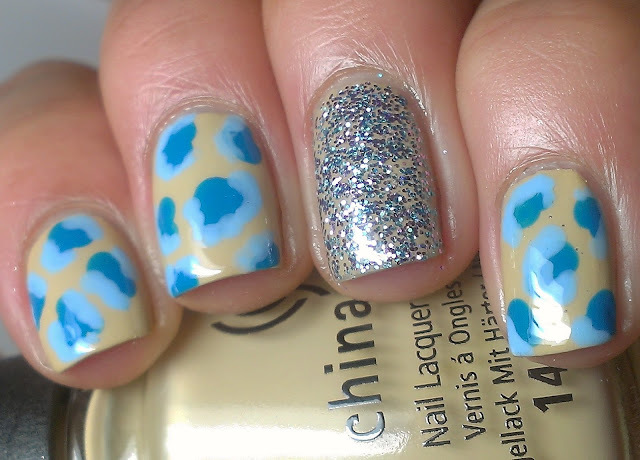 !I got to get on some nail art! Dude you're getting all creative and stuff-I love it!